When you hear some stories, you immediately think, “I know where that happened.” So when such things happen in places outside the norm, we tend to get a little shocked. This week a high school freshman was suspended for making a comment that he was a Christian and he believed being homosexual was wrong. I immediately assumed that the situation occurred in California or New York, but much to my surprise it happened right here in Cowtown—Fort Worth, Texas. 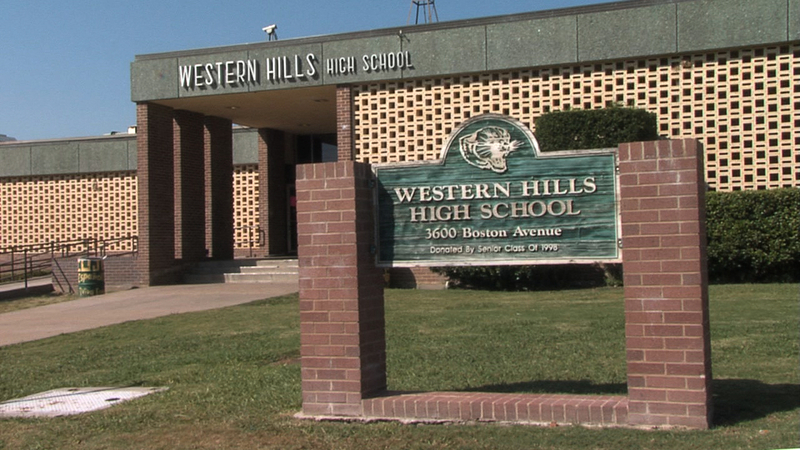 According to news reports, the student at Western Hills High School on the west side of Fort Worth was in German class when the discussion of religion and homosexuality in Germany arose. He turned to a friend in the class and said, “I’m a Christian and I believe being gay is wrong.” The teacher heard his comment, wrote an infraction, and sent him to the assistant principal’s office where he received a three-day suspension. The next day, his mother arrived with an attorney to discuss the matter with the principal. Thankfully, the principal rescinded the suspension and removed it from the student’s record, allowing him back into class with no further repercussions. [Attorney Matt] Krause called the incident “mind blowing” and said the teacher had frequently brought homosexuality into ninth grade classroom discussions. “There has been a history with this teacher in the class regarding homosexual topics,” Krause said. “The teacher had posted a picture of two men kissing on a wall that offended some of the students.” Krause said the picture was posted on the teacher’s “world wall.” “He told the students this is happening all over the world and you need to accept the fact that homosexuality is just part of our culture now,” Krause said. These actions raise a very interesting question for public schools. Should a student’s cultural views—influenced by his religious beliefs—be stifled while a teacher is allowed to promote his beliefs about a controversial subject? The school system will face a very difficult decision about whether or not to become completely non-religious, non-controversial, non-cultural or to allow for some expression of differing viewpoints without the threat of punishment. The implications of the latter—which seem to be in line with the spirit of the First Amendment—could be a two-edged sword. On one hand, we would applaud the ability of the student to express his belief in a sincere and respectful way. On the other hand, it would also seem to allow for the teacher at least to express his support of homosexuality. Now I certainly do not believe that the teacher should be allowed to push a homosexual agenda in class (especially a German class), but I do believe that students should be allowed to articulate alternatives to his view without fear of punishment or retaliation. I can see some limited application of this discussion in a German class. Having studied four languages other than English, I recognize that there are some cultural aspects of learning a language. Most language teachers want their students to have an understanding of the culture behind the language, so I can see where discussion of religion could find its way into a German classroom. Let’s face it, one of the most central figures of Protestantism was German—Martin Luther. His translation of the Bible to German is still influential today. A balanced discussion of historical and contemporary religious issues in Germany could be fruitful for students learning the language. The problem with this teacher’s presentation is that it was not balanced. He pushed an agenda and punished a student who disagreed. Of course there are limits to such discussions in the classroom, and an understanding of the maturity level of the students is necessary for having such discussions. It would never be appropriate for a public school teacher to have such a discussion with a third grade class; however, high school may be a different story. You may protest and say, “I don’t want my ninth grader exposed to such conversations in class!” I would counter with the realization that such conversations are already taking place in the hallways and locker rooms, so the controlled environment of the classroom may be better. In addition, as parents we need to prepare our children to articulate their positions effectively even when it is in opposition to a teacher’s position. At least while they are in high school, we have the opportunity to help them formulate their positions and support them in such discussions in class. When they move away to go to college and these same conversations arise, it may be too late. So what do we take away from this? Let’s answer a couple of questions. Was the teacher wrong in punishing the student? Yes. He punished a student for disagreeing with his personal position. The student’s belief does not prevent him from learning German. The teacher was simply wrong. Outrage over the suspension is indeed appropriate, and the teacher should probably face disciplinary action for the way he handled the situation. Should these discussions take place in school? To a certain degree, I say yes. Within a controlled environment where the students and teachers are mature enough to handle the discussion, it could be useful. To prevent such conversations would also prevent discussion of creation and intelligent design that many believers are fighting to get back into the classroom. Since those positions are often labeled “religious,” I am not willing to block all “religious” discussions in the classroom. Should these conversations be taking place somewhere else? This is the most important question. Yes, they should happen in the home and church. We should not shy away from such topics at the dinner table. We need to tell our children what the Bible says about these things and prepare them to express their beliefs in a hostile environment. Don’t wait for the topic to come up in school—prepare for them in advance. In 1 Peter 3:15, Peter instructs his readers, “Sanctify Christ as Lord in your hearts, always being ready to make a defense to everyone who asks you to give an account for the hope that is in you, yet with gentleness and reverence.” Let’s be prepared to give a defense for what we believe and direct them back to the hope we have in Christ. Lari Barager, “Student Suspended for Saying Gay Is Wrong,” Fox 4 News, September 21, 2011. Todd Starnes, “Texas School Punishes Boy for Opposing Homosexuality,” FoxNews.com, September 22, 2011. Eva-Marie Ayala, “Western Hills student suspended for denouncing homosexuality has punishment reversed,” Star-Telegram, September 22, 2011. For audio from a recent conference where I addressed some of the issues related to homosexuality, see Southwestern’s Biblical Manhood and Womanhood Conference audio.